Barry MacKinnon has been actively working on behalf of Deaf and Hearing Impaired people for over 30 years. Barry and his wife Pam are parents of a son, Michael , who was born with a profound hearing loss. 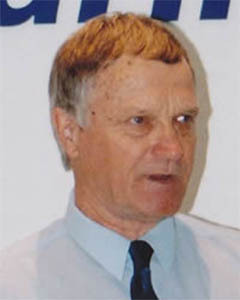 Barry has been President of the Deafness Council for many years and was previously a Board member and Chairman of the Speech and Hearing Centre as well as the Chair of the Disability Services Commission. John has been profoundly deaf since he was 12 years old. He successfully advocated for captioning of cinema, TV and live theatre. He is currently the Acting Commissioner for Equal Opportunity. Paul is CEO of Earbus Foundation WA. 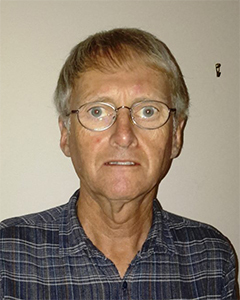 Paul is a qualified teacher of the Deaf with extensive ESL experience and holds a master’s degree in educational and organisational leadership. Paul successfully ran a language school in Japan for 5 years and was CEO of Telethon Speech & Hearing for many years. 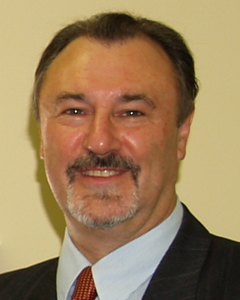 He has chaired the First Voice national alliance 2006-2008, served 10 years on the WA NGCS Committee, served as Chair of AISWA Special Needs Advisory Committee, is a member of the WA Deafness Council Executive Committee and the WA Newborn Hearing Screening Executive Committee. 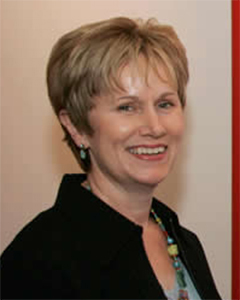 Julie Edmonds is Chair of Better Hearing Australia WA, Founder and Manager of West Australian Deaf Arts and Chair of Transplant Australia WA. Julie has previous worked predominantly in the not-for-profit sector and has a keen interest in this area, now volunteering across the sector. 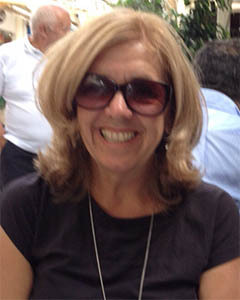 She has won 5 Community Awards for her work including BHA National Volunteer of the Year Award. Julie volunteers with both Deaf and Hard of Hearing members of the W.A. 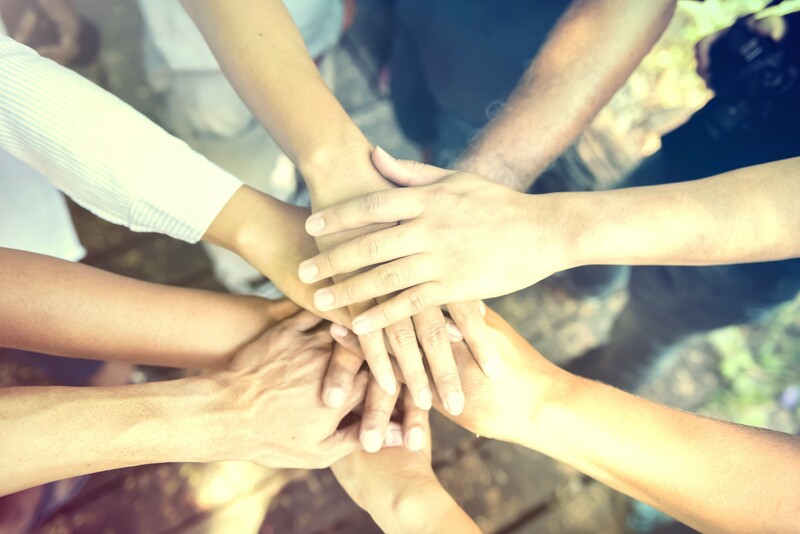 community and is striving for greater community awareness, improved services and a better quality of life for people affected by hearing loss. 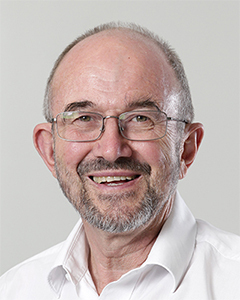 Harvey Coates AO MS FRC'C FRACS DABO is a Paediatric Otolaryngologist and Clinical Professor at UWA, School of Paediatrics and Child Health and University Dept of Otolaryngology, Head and Neck Surgery, and Senior ENT Surgeon at Princess Margaret Hospital for Children. 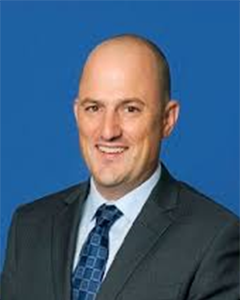 He is Chairman of the Aboriginal Sub-committee of the Australian Society of Otolaryngology Head, Neck and Surgery. Amongst his many interests are newborn hearing screening and Indigenous children's ear disease. 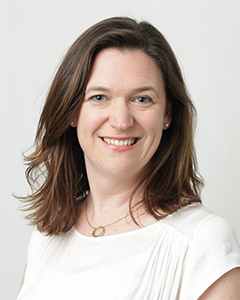 Gemma Upson B.Sc, M.Clin Aud, M.Aud S.A.(CCP) is Head of Clinical Services at Ear Science Institute Australia (ESIA). Gemma spent 4 years leading and developing the Lions Hearing Clinic before heading up ESIA’s cochlear implant and balance programs. Gemma holds an Adjunct Research Fellow position at UWA and contributes to various research projects. Gemma is passionate about leading and developing high performing teams and systems to deliver exceptional client care in the health industry, in particular those with severe hearing impairment. In 2014 Gemma was a WA finalist in the Telstra Business Women of the Year Awards under the category of 'Young Business Woman Award'. Alex has had a hearing impairment from an early age and has worked tirelessly in the community for people with disabilities. He has a keen interest in senior’s welfare and is a life member of Dianella/Yokine Retirees. Alex is also a councilor on the Osborne Park Advisory Board, he dedicated 4 years to the Ministerial Advisory Board for Disabilities WA and represented Australia at the worldwide Deaf and Blind conference in 2007. 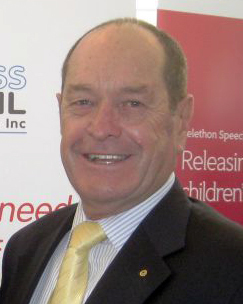 Mark Fitzpatrick has been the Chief Executive Officer of Telethon Speech and Hearing since February 2017. Prior to this role, Mark was the CEO of the St Vincent de Paul Society in Western Australia for five years. After graduating from Curtin University with a Commerce degree, Mark has worked in a variety of roles in a range of not-for-profit, education, and government organisations. Mark plays a number of roles in supporting the not-for-profit sector and community. He is the Vice President of peak body WACOSS, a member of the Centre for Social Impact’s Advisory Council, a past-President of edventures WA Inc and more. Leanne Potter is the Principal of Shenton College Deaf Education Centre, collocated with Shenton College and shares the vision of being a boldly ambitious school at the forefront of education in Australia, delivering the highest quality Deaf Education to our community. We embrace intellectual independence, creativity and curiosity and a sense of responsibility towards others – enabling us to lead lives of contribution and fulfilment. The teaching and learning programs are designed to be challenging and innovative so that students enjoy their school days and achieve their full potential. Our Deaf students are in programs from being fully mainstreamed through to being Deaf Centred for core subjects while participating in options. All communication options are offered to meet students’ needs so they have full access to the curriculum. Auslan is also offered to ATAR level for both Deaf and Hearing students. Jacob represents Cochlear Implant Club and Advisory Association, CICADA Club WA Inc. Jacob began with two behind the ear (BTE) hearing aids in mid-1982 and in March 2014 was subject to surgery and received a Cochlear Implant (CI), there may be a second CI sometime in the future. CICADA wanted a representative on the Deafness Council of WA as they have a broad range of concerns that can and have been raised at the Local, State and Federal Levels. Some important CICADA concerns relate to competition, consumer protection, NDIS, medical insurance and other protection for people on Disability and Old Age Pensions. 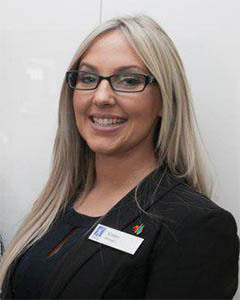 Kirsten White joined Australian Hearing in 2010 and took up the Perth Area Manager position in 2011. Kirsten has been recognised for her ability to plan and initiate innovative programs to grow services and most recently represented Australian Hearing WA on the Pilbara Ear Health Interagency Group to participate in the development of a model of care document funded by Chevron. Kirsten manages the main specialist Paediatric Centre in East Perth & the delivery of Australian Hearings tertiary Audiology services to remote regions of WA, providing better access to Aboriginal and Torres Strait Islander people living in remote communities.